For any business to grow and expand, the business managers must be very good at finding and retaining the right customers. Every business in the world today has the potential of becoming a billion-dollar company no matter what they’re into. The ability to persuade and convince millions or even billions of potential customers all over the world to buy from them will determine how rich they become. The wealth and success of any business is directly linked to the size and number of customers they have. If you’re selling even pure water, if you sell 1 million sachets at 5 naira to 1 million people every day, you make 5 million naira a day. For a month – that is 30 days, you’ll make 150 million naira. I do not think there’s any paid employee in Nigeria who currently earns a hundred million naira as salary every month. Salary will earn you a living, business would earn you a lifestyle of your dreams. Anyway, that’s by the way. Growing and retaining your customers is very critical to your business success. For many years the emphasis by business owners and marketing practitioners has been on the ability to grow and retain your customers. Business owners are encouraged and trained on how to identify their customers, segment the market, and understand their customers. They periodically through research, study and understand the buying behaviours and attitudes of their customers. Customer service is a big deal to any growing and thriving business. Employees are trained in the art of customer service -, “the customer is always right” has become a generally acceptable cliché in the business world. Business owners value, cherish and treasure their customers as, without a doubt, the customer are your real employers as a business owner. In fact these days, traditional ways of wooing customers through advertising is not as powerful as it was. Advertising only remains very strong in growing awareness, educating the customers, informing the customers and sustaining top of mind recall. Regarding real purchase or brand switch, word of mouth has become the real deal. People believe their friends and associates than advertisement when it comes to choice of brands and purchase decisions. This also has put a lot of power in the hands of the customer in growing you in the market place. An irate customer can these days do so much damage to your brand and company just by a negative comment or report on social media and it’ll spread like wildfire. The customer is becoming even more powerful these days. All these have made many business owners, especially marketers to crown the customer as the king of business. The customer is king, many would say. 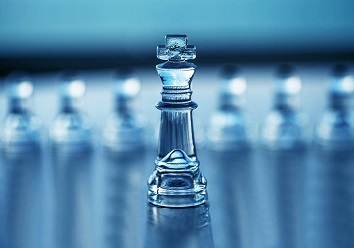 In my practice as a business management consultant and coach, I’ve had the opportunity to interact and speak to so many people who used to own a business, currently run a business or are starting up a business and the feedback and experience I’ve gathered gave me reasons to rethink the concept of the customer as the real king of business. Though many brands and businesses die on the account of management inefficiencies, lacking in knowledge and capacities, I also noticed many start-ups with great potentials for growth and success die on the account of what I’d call killer customers. In economic situations such as the one we’re currently facing, many business owners may become desperate to earn revenue so as to remain in business. This naturally puts them at a disadvantage when bargaining. I’d like every business owner to realise and never forget that all customers are human beings. They are human beings and we all know, human beings are selfish by nature. In this season, there are some kind of customers you should watch out for, I call them killer customers. They have no regard for a win-win bargaining play out. Their objective is to exploit you and take advantage of your disadvantaged situation. These killer customers and clients would want to buy from you on credit or at extremely low prices. They’ll demand you go the extra mile for them at outrageous costs to your business, they delight in cheating you and will often threaten you with terminating a deal, a contract or moving on to your competitor. Many out of desperation succumb to these threats and mind games and unfortunately lose out. Countless businesses have died and brands have ceased to exist because of these killer customers. Ladies and gentlemen, any customer that is not genuinely interested in the growth and prosperity of your business is a killer customer, avoid them. If out of desperation or fear of them moving to your competitor you let them have what they demand for, they will eventually kill your business and you know what? These killer customers will move on with your competitors. A good customer should be interested in your prosperity and growth too. A good customer should care for your business and your well-being, any customer that does not care about you and your business success will not mind your business going down the drain. The only reason a customer is kinged by any business is the cash factor. Any customer unwilling to part with reasonable cash for your goods and services is unworthy of being king. Let me come out straight with my view on this, you see the customer in my opinion is not the real king of business, in my opinion, cash is king when it comes to business growth and success. Without cash, your business will die and your customers will move on. In today’s business world, cash is king and the customer is the king maker. No matter the number, size and reputation of your customers, if they refuse to pay enough and in good time, your business will die. In business, cash is king, the customer is the king maker, and only the customer willing to release cash to you is the authentic king maker. Many years ago when I ventured into business consultancy and coaching, I came across many killer customers. Despite my qualifications, certification, capacity and competence, some very high profile clients would ask that I do business with them pro bono, they want my services for free and they say to me the name and reputation of their organisation should count for something in attracting other customers since I’m not yet that famous, I smile and think in my mind, how will your reputation pay my staff salaries at the end of the mont? If you invite me to coach and want it for free or cheap you really don’t want to do business with me, you just want to exploit me. I also used to get invites to speak in religious gatherings on business and they ask that I do it for God, meaning they will not pay me cash, that God will reward me with blessings. I say to them not to worry about how I get my blessings from God, that I have my ways, let them just pay me cash. These are religious ministries, some generating revenues in billions annually, yet they find it hard to bless another brother with cash, they want God to do it on their behalf. Ladies and gentlemen, beware of killer customers especially in these times. Politely turn them down and go for the ones with real cash. “My brother, hope say you dey get money, if it’s not making money, it’s not making sense, hope say you dey get money”. In today’s business world, cash, not the customer, is the real king of business. I am highly inspired by today’s talk show on frankly speaking.